Cyndi Foster has been a bible teacher and minster for over thirty years. She has traveled internationally preaching the Gospel and equipping pastors and leaders in Russia, Philippines, India and Uganda. She is ordained through the Pentecostal Network and a member of ISDM (International Society of Deliverance Ministers). Her book Joy Comes in the Morning was first published in 1996, and now includes an updated version recently released on Kindle that you can download here. It is her personal testimony of overcoming sorrow and grief after the tragic death of her daughter. She has personally watched God turn everything that the enemy meant for evil into good and has truly experienced “beauty for ashes”. Beauty for Ashes Ministry started as a home bible study and became a non profit ministry in 1995. The ministry grew to include a local church in 2010. Overseeing a ministry and a church has given Cyndi a heart to train and equip pastors and leaders to hear the voice of the Holy Spirit and obey His leadership. Her desire is to see true apostolic leadership restored to the Church -equipping pastors, leaders, and those called to ministry to preach sound doctrine, heal the brokenhearted, set the captives free, open the eyes of the blind, and set at liberty all of those that are crushed (Luke 4:18). Cyndi has witnessed many healing miracles including a man being healed from aids, babies raised from the dead and cancers being healed. She has experienced the power of God to stop storms and to walk in divine protection in dangerous situations by hearing the direction of the Holy Spirit. These truths that she has learned will empower believers to see miraculous answers to prayer and to walk in victory in every situation. 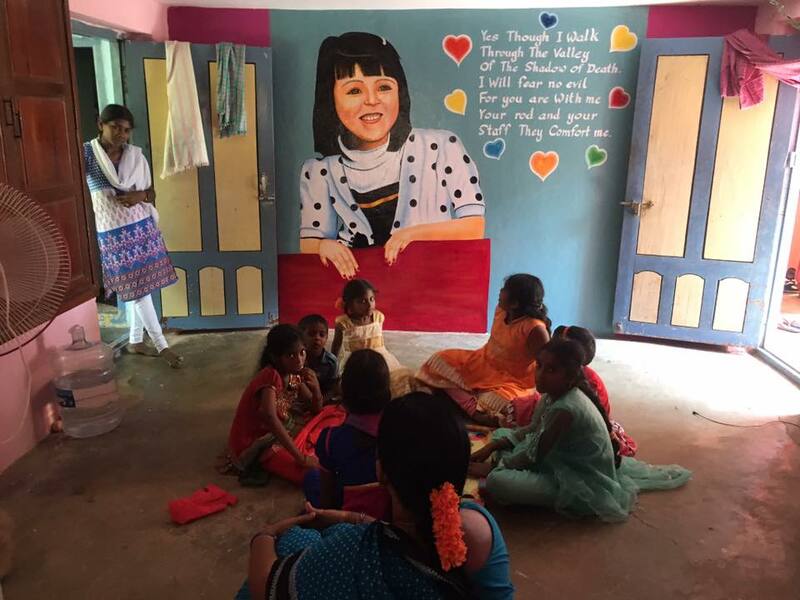 Beauty for Ashes has had the privilege of supporting a children’s home in India, that takes care of orphans and widows. On a visit a few years ago Cyndi arrived on Mother’s Day, to a mural of her late daughter Lauren, painted on the wall. This mural was one representation of God giving Cyndi “beauty for ashes” knowing that Lauren’s legacy and heart for people was touching those on the other side of the world. If you are ready to grow in your relationship with Jesus, and be trained and equipped to do the works the Father has for you to do, this Mentoring Partnership is for you!